Looking for a gift? We’ve got that covered! 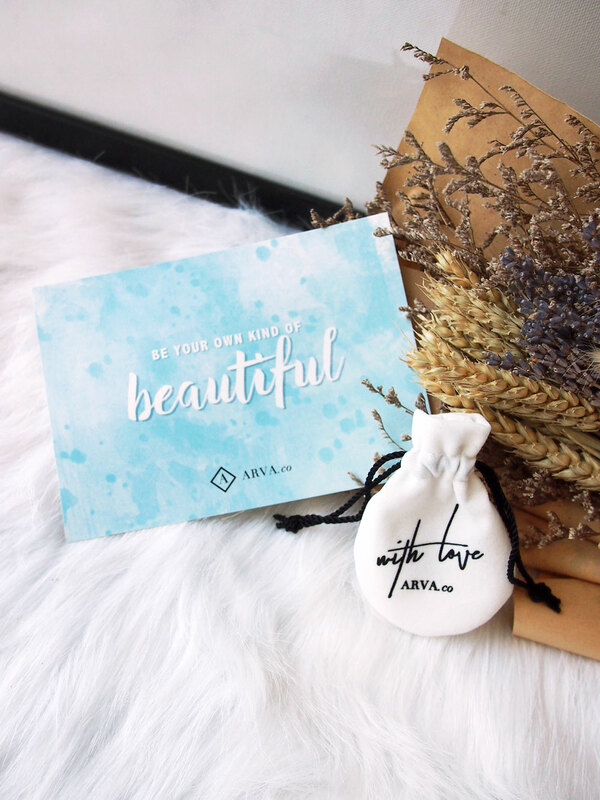 Whether you are finding a gift for someone special or treating yourself to some retail therapy, Arva.co’s jewelry designs are specially curated and orders are carefully packed to ensure that they are ready to be gifted. Every piece of jewelry is displayed in our individual signature black & white Arva.co jewelry card and wrapped in clear plastic. The jewelry pieces will be packed together in blue or black wrapping tissues and topped with a soft satin ribbon. A glossy blue “Be your own kind of beautiful” (or other) card is included with every order. You may request for a name card-sized blank message card under ‘Gifting’ at Checkout, or ask to have your gift message handwritten if you are sending it directly to the recipient. Arva.co does not include any invoices or packing slips with your order. * Color of wrapping tissues and ribbons may vary between black, white and blue. Everything is prettier with a little black box filled with white shredded tissues and topped with a blue satin ribbon. This gift packaging option (+SGD $2.90) is available for most cuffs, and smaller earrings and necklaces. Just click the checkbox “Is this a gift? See gift packaging options” on the product page! 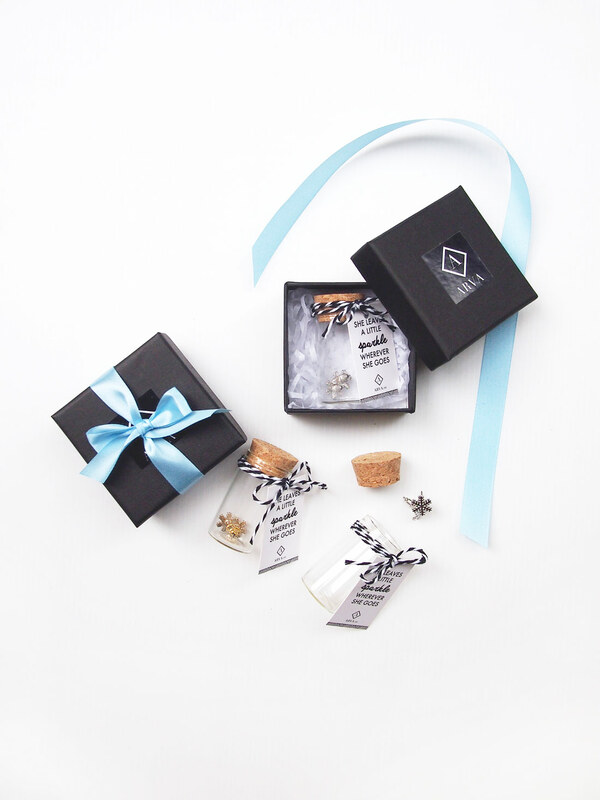 Or surprise your BFFs or loved ones by gifting them a little trinket housed in a mini glass test tube (+SGD $3.90)! Available for small necklaces and earrings only.